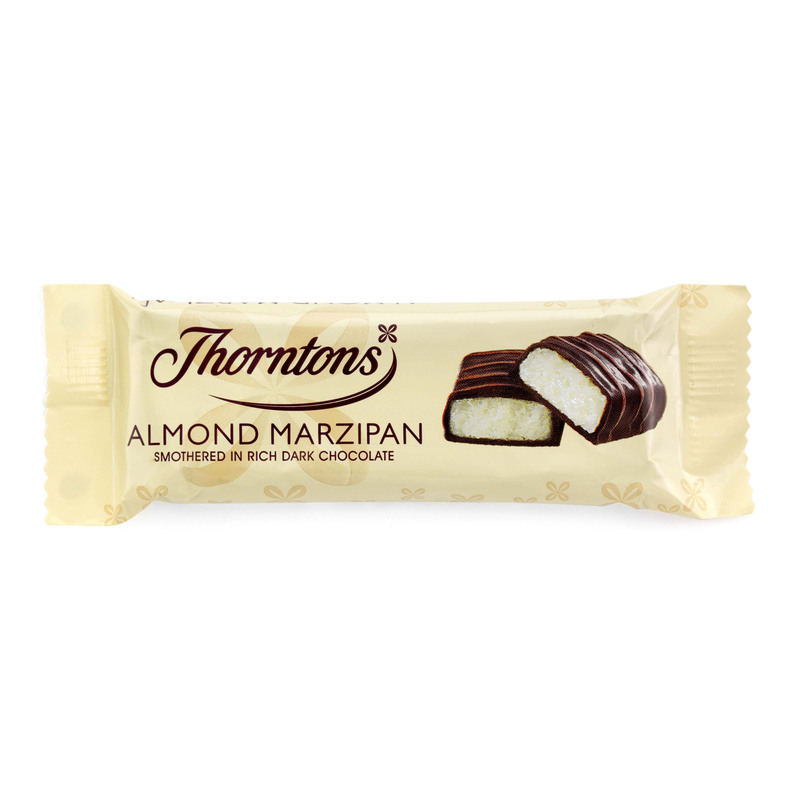 Soft and ever-so-slightly crumbly marzipan has a distinctly delicious sweet almond flavour, one that's made even better by a rich coating of our finest Thorntons dark chocolate. 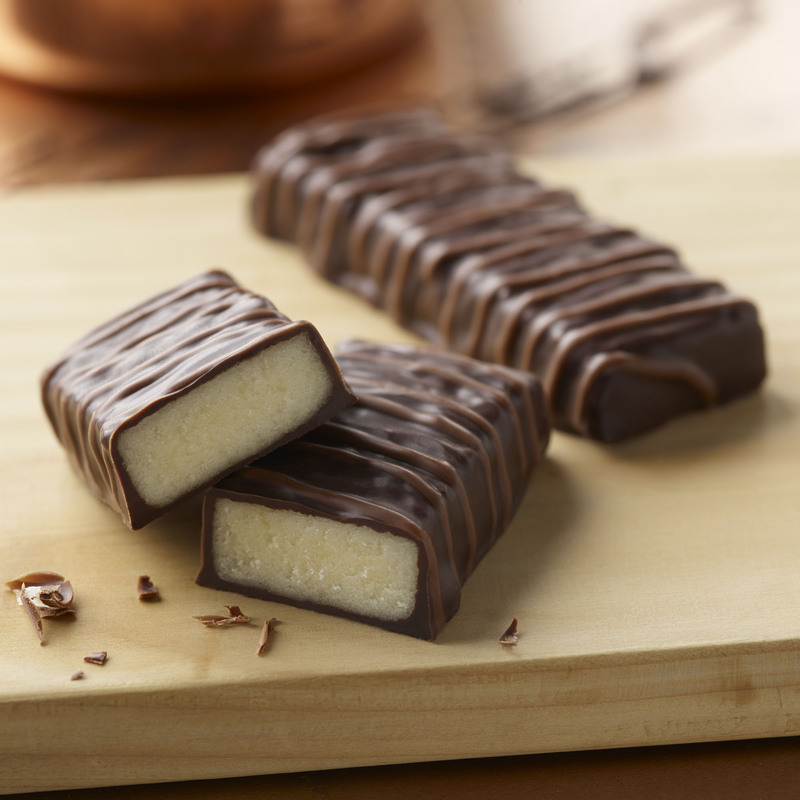 Milk chocolate decoration is the final flourish on this traditional-taste Almond Marzipan Bar that you can enjoy wherever you fancy. Now presented in new look cream-coloured packaging as part of the Favourite Flavours collection. 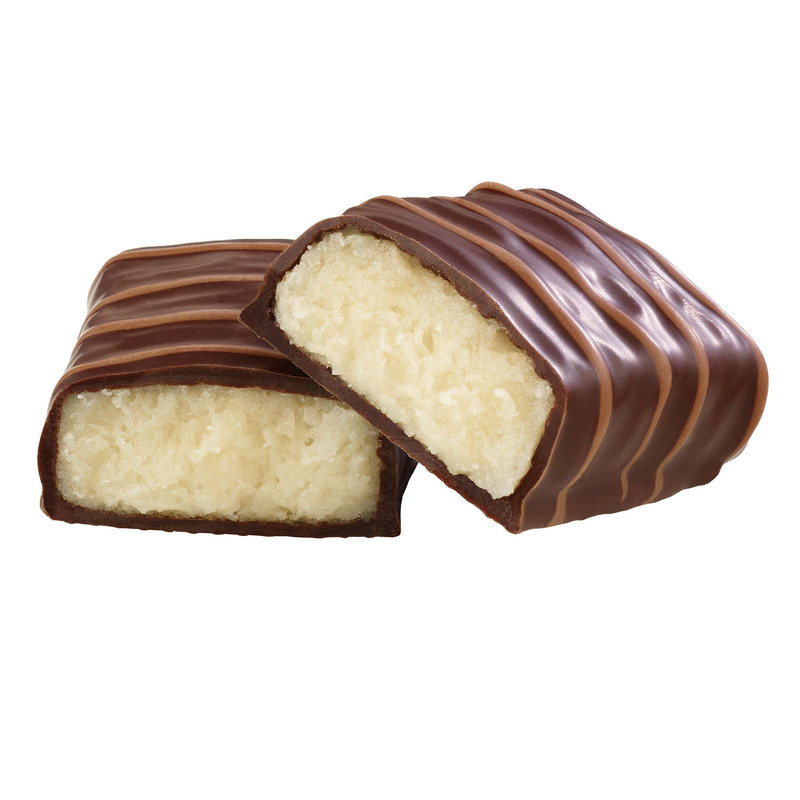 Sugar, Cocoa Mass, Glucose Syrup, Almonds (10%), Humectants (Sorbitol, Glycerol), Dextrose, Cocoa Butter, Palm Kernel Oil, Dried Whole Milk, Fat Reduced Cocoa Powder, Emulsifier (Soya Lecithin), Salt, Milk Fat, Acidity Regulator (Acetic Acid), Flavourings.